Tropical Storm Hermine has taken a long, slow path to its current location in the Gulf of Mexico, and Florida's already seen flooding and cloudy skies because of it. The storm is currently idling in the Gulf of Mexico, but it won't sit still for long. Hermine will soon take a turn to the northeast and head toward northern Florida. Forecasters think it'll strengthen as it moves closer to Florida and eventually make landfall as a Tropical Storm late Thursday night into early Friday morning. 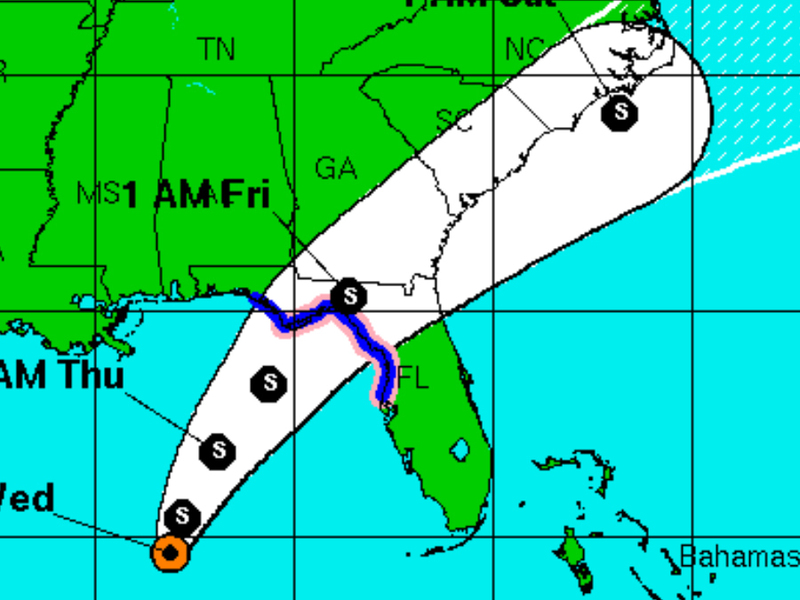 The National Weather Service has already issued hurricane watches and tropical storm warnings from Tampa to Tallahassee. More flooding and storm surge are likely to be the main threats through the rest of the week and into the weekend.